England, 1939. Ten-year-old Virginia Wrathmell arrives at Salt Winds, a secluded house on the edge of a marsh, to meet her adoptive parents―practical, dependable Clem and glamorous, mercurial Lorna. The marsh, with its deceptive tides, is a beautiful but threatening place. Virginia’s new parents’ marriage is full of secrets and tensions she doesn’t quite understand, and their wealthy neighbor, Max Deering, drops by too often, taking an unwholesome interest in the family’s affairs. Only Clem offers a true sense of home. War feels far away among the birds and shifting sands―until the day a German fighter plane crashes into the marsh, and Clem ventures out to rescue the airman. What happens next sets into motion a crime so devastating it will haunt Virginia for the rest of her life. Seventy-five years later, she finds herself drawn back to the marsh, and to a teenage girl who appears there, nearly frozen and burdened by her own secrets. In her, Virginia might have a chance at retribution and a way to right a grave mistake she made as a child. Elizabeth Brooks’s gripping debut mirrors its marshy landscape―full of twists and turns and moored in a tangle of family secrets. 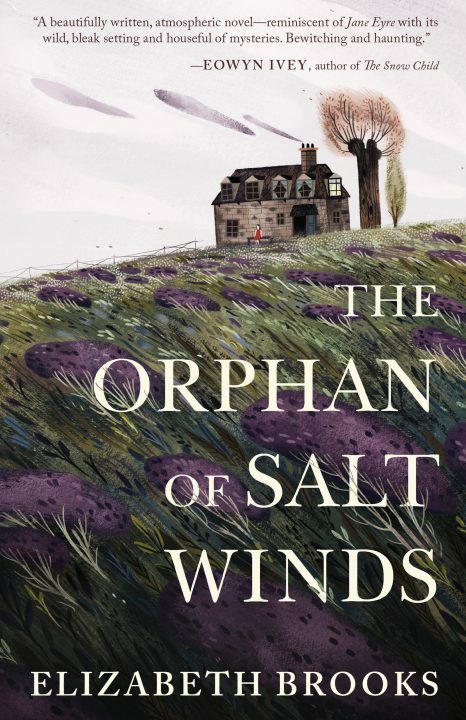 A gothic, psychological mystery and atmospheric coming-of-age story, The Orphan of Salt Winds is the portrait of a woman haunted by the place she calls home. E lizabeth Brooks grew up in Chester, England. 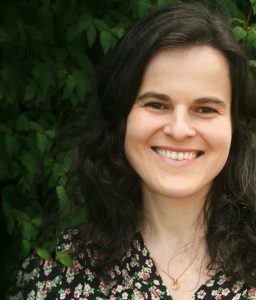 She graduated from Cambridge University with a first-class degree in Classics, and lives on the Isle of Man with her husband and two children. 1. What was your first impression of Lorna and Clem? Did this change over time? 2. How would you describe the atmosphere of the house at Salt Winds—emotionally, socially, and culturally? How did this setting shape your reading experience? 3. What is Lorna and Clem’s relationship to Max Deering? How does their complicated past influence Virginia’s interactions with him? 4. Is Lorna right to give shelter to a German airman, in the context of the second World War? 5. Why do you think Jozef writes Call of the Curlew for Virginia’s twelfth birthday? 6. What, if anything, does Virginia gain from her encounter with Sophie Deering? 7. What is the significance of the Curlew skull Virginia finds on New Year’s Eve? 8. Why does Max Deering slink away, defeated, after his encounter with Lorna and Jozef? He’s won, hasn’t he? 9. Salt Winds is cold, lonely and full of the darkest memories. Why do you think, once she is old enough to leave, Virginia chooses to stay? 10. The Orphan of Salt Winds grapples with the theme of guilt. Which character do you blame most for what happens on the marsh?